Sweet nutty aromas of our freshly baked Prairie’s Best Fruited Granola drifting through the house prompt this article. It is one of our featured breakfast selections. Made in small batches with oatmeal, sunflower & seasame seeds, honey, canola oil & other healthful grains & nuts this recipe has been a family staple for over thirty years. 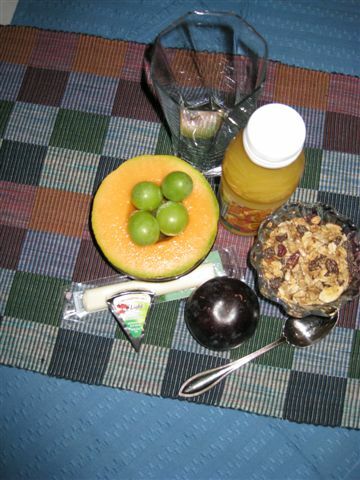 For our inn guests I add colorful bits of dried fruits such as cranberries, papaya, pineapple, & raisins. Yummy with milk, yogurt, applesauce or eaten just plain like trail mix! 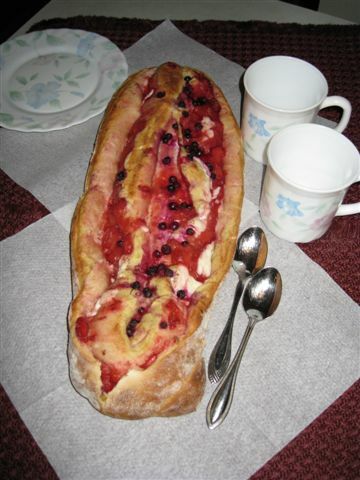 Another breakfast specialty is our home-baked yeast dough fruit filled coffee breads. We like to use local fruits; often peaches, rhubarb, blackberries, nectarines, apples, huckleberries. 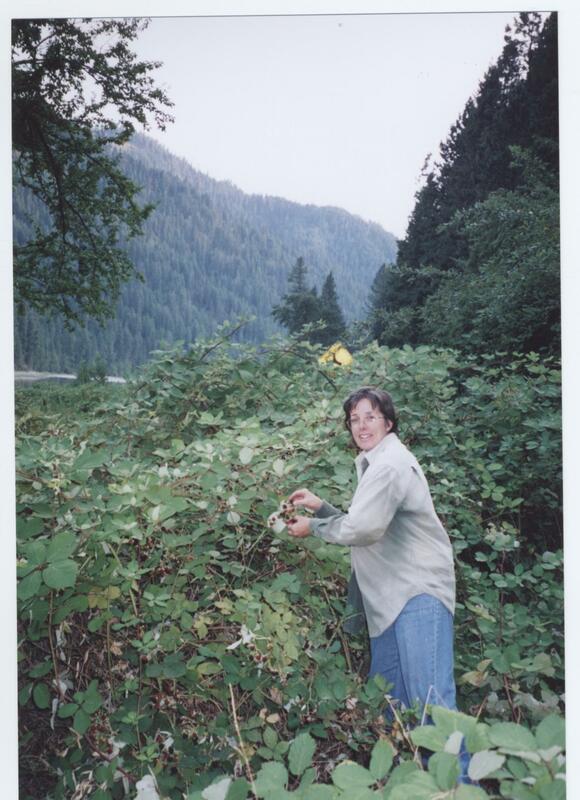 Some, like the blackberries & huckleberries grow wild along the river banks & and in the mountains nearby. This summer we have a quart of mountain harvested huckleberries, picked by our son on his way from Missoula, Montana to Idaho. What a welcome surprise! His visit, and the precious huckleberries which I am sharing with our guests in our coffee breads. Healthful fruit muffins are another regular breakfast feature. [By the way, all breakfast foods are in the big dog at time of guest check-in. Either on the counter or in the undercounter refrigerator. This allows guests to eat breakfast at a time & in the attire of their choosing. At midnight and in their jammies if desired!] 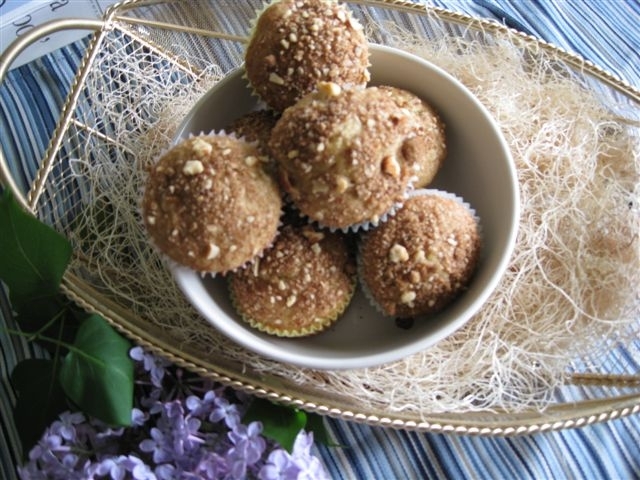 Rhubard raisin or moist banana brown sugar muffins are guest favorites. Breakfasts are rounded out with plenty of fresh fruit, yogurts, cheeses, dry cereals, milk, vegetable & fruit juices, teas/coffee, etc. I’ve always enjoyed cooking & it has been my pleasure to extend friendship to our guests through my signature healthful baked foods.